1. Login to your office365(www.office.com/signin) account using your admin account. 2. 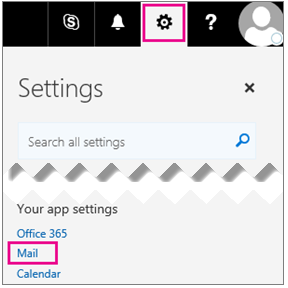 At the top of the page, choose Settings > Mail. 4. Type in your HappyFox unique email address ( accountname-xxxxx@happyfox.com - see the screenshot for reference) under Forward my email to in office365. 5. Click on save once done. 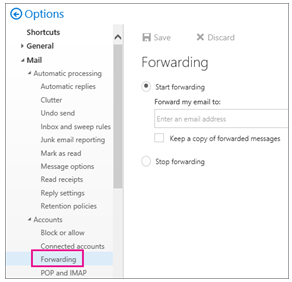 Note : If you keep a copy of forwarded messages, check your Office 365 account regularly to make sure you haven't exceeded your mailbox size limit. If the size limit is exceeded new messages may not be forwarded.